Each character also has a certain number of initial skills based on their character class and their level of experience. As you gain experience you have more total skills and more skill choices. Characters start with a limited number of skills, attributes and health. 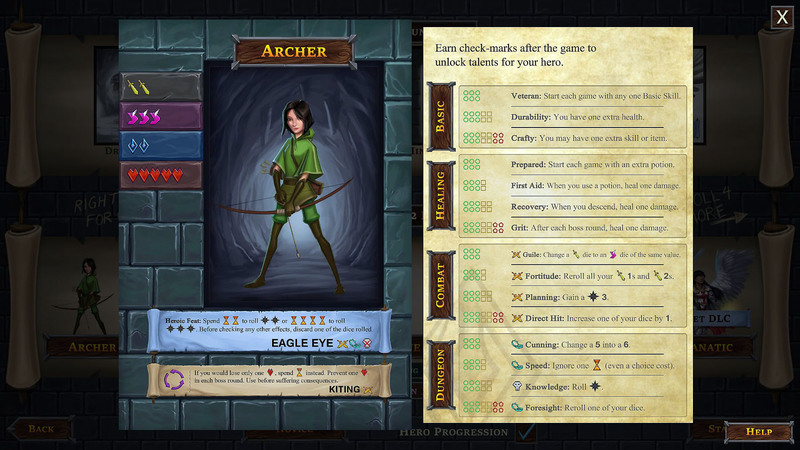 As the characters increase levels they can add additional skills, attributes and health. 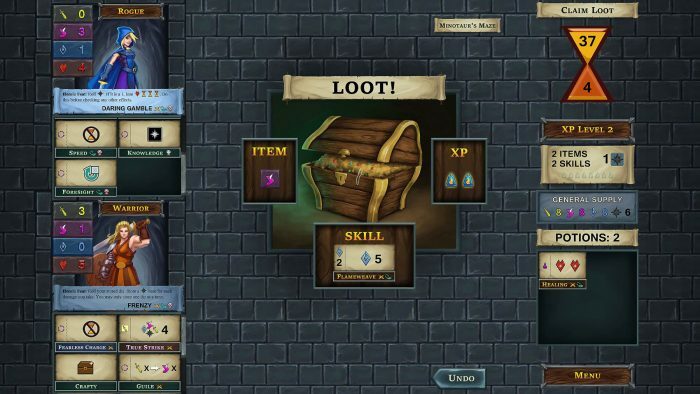 Beginning characters are limited to two health potions but can obtain more potions either by gaining experience levels or taking them as loot from an encounter. Your character(s) enter the dungeon on level one and have a finite amount of time before they can descend to the next dungeon level. You must open doors which reveal either nasty traps or opponents. You can flee the room which eats of valuable time or enter the room. Traps always have two different approaches to avoiding/disarming the menace to choose from. 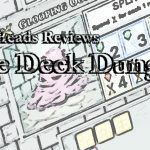 Opponents (ogres, rogues, blobs, etc….) all have different challenges. Challenges are represented by color coded boxes matching the color of specific attributes (magic, melee or nimbleness) with a number. 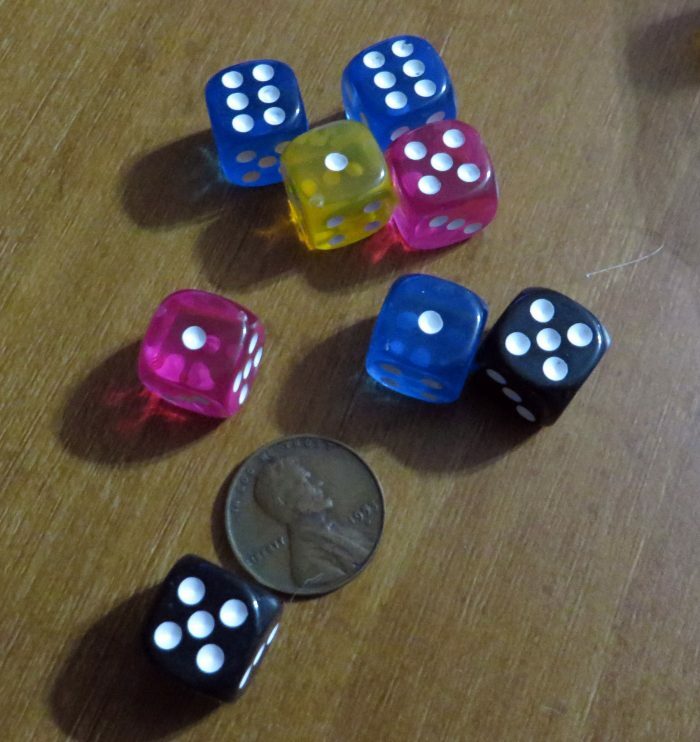 You must cover the box with a die of that color with a dice value equal or greater than the number on the box to eliminate the threat. The threat contains different values of physical damage to your health and/or time elapsing. When traps or opponents are defeated the characters either gain additional attributes (sometimes with an additional health involved), an additional skill, or a potion. 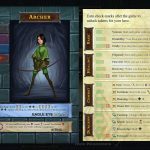 Every encounter allows the potential to add attributes. Each encounter has either a skill or a potion, but not both. 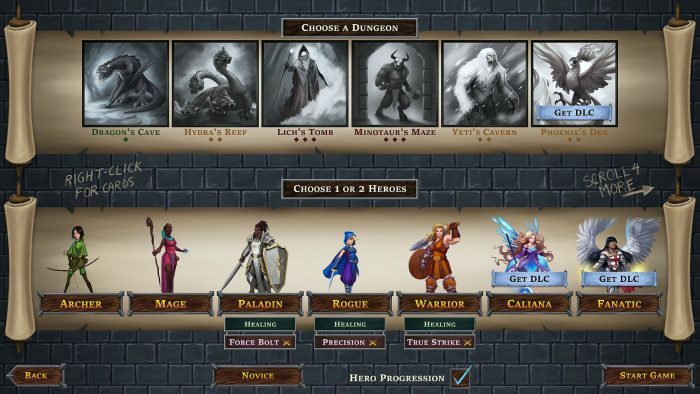 If victorious, the character(s) can choose either an attribute or a skill/potion. Then more time elapses and you move to the next room. The last option is to choose experience instead of an attribute increase or a skill/potion. You only have a specific amount of time on each dungeon level. After the time for that level has elapsed, stairs can take you to the next level. Each level is of course harder. If you don’t go down the steps when they become available, escalating damage accrues to the characters until they descend. Dungeons have four levels with the bottom level housing only the boss monster. The verbal description may seem complicated, but the game is simple. 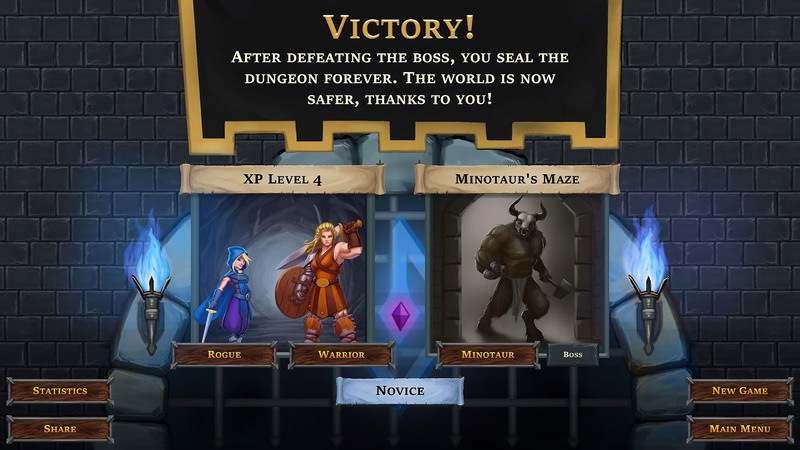 An experienced player can teach a newbie the game mechanics in two to three dungeon crawls taking at most thirty minutes per dungeon. This is a fast-paced die game with a lot of options. The higher your level, the more die and the more options to change your die. Stronger characters have more die and more dice changing options. There are only a handful of bosses (five in the base game). There are also a very limited number of traps and opponents. Although the boss chosen and the level of the dungeon adds complexity to encounters, the base number of encounters are highly limited. After a half-dozen or so dungeon crawls you will have seen every encounter. If you chose to play a different boss in each of your games you would have seen everything the game has to throw at you in five dungeon crawls. If you successfully reach the bottom of the dungeon and defeat the boss you get experience. One level bosses only provide level one experience. Level 2 bosses provide level 2 experience with level three providing the highest experience level. Higher level experience can fill the box for lower level experience, but not vice-versa. 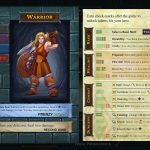 Experience is broken down into basic (which applies every game) and the option of healing (everything impacts your health favorably), melee (everything helps your combat) or dungeon (everything improves your ability to handle traps). 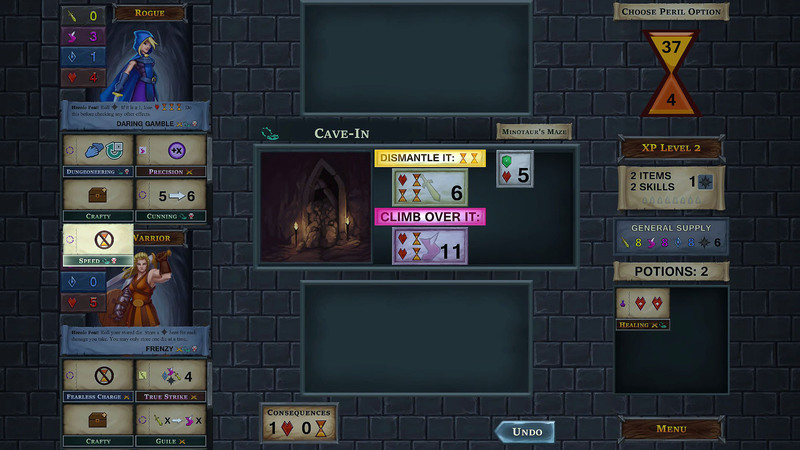 There is one highly unusual aspect of One Deck Dungeon that I became aware of after about five hours of play. Every character in the game is female. Like most dungeon crawl games, if you play enough games and defeat enough bosses your characters become quite powerful. With the limited number of bosses, highly experienced characters can usually defeat any boss every time. There is one highly unusual aspect of One Deck Dungeon that I became aware of after about five hours of play. Every character in the game is female. I remember all male characters way back in the early eighties but most every game today gives you the option to play male or female characters. In One Deck Dungeon your avatar will be female. 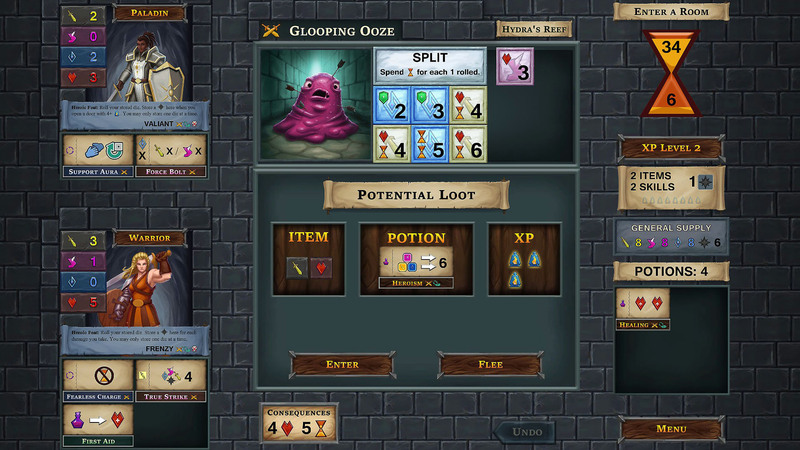 Like many simple games in the 2010s, the game can be purchased in a table-top or a digital version. I bought the tabletop version at Origins and later purchased the digital version. 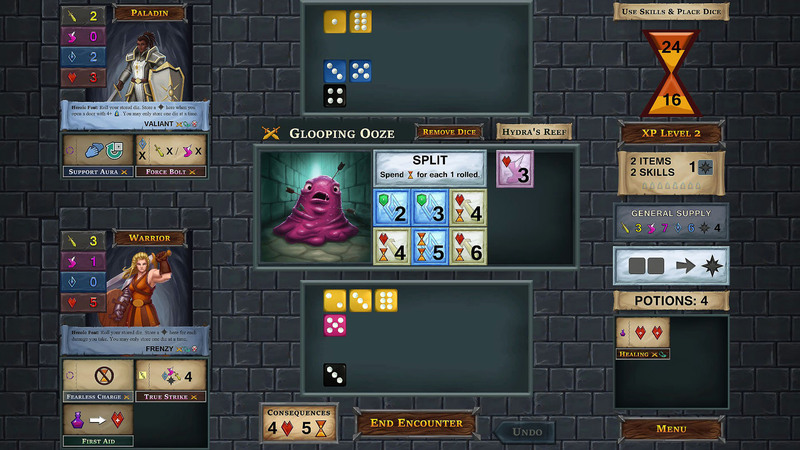 The tabletop version allows playing with one additional person face to face. 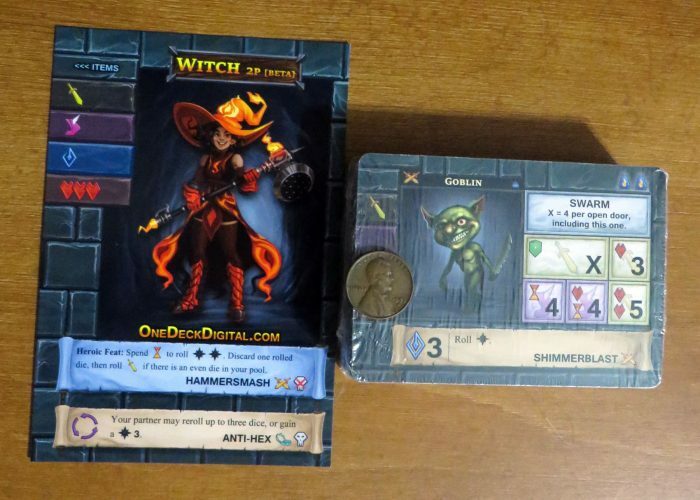 The physical game is very compact, with the box being only slightly larger than four decks of cards. The box contains everything needed to play: die, cards, rules and experience records excepting a pen or pencil to keep track of increasing character experience. 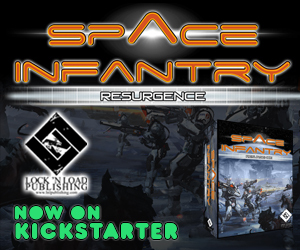 The physical game runs about $22 and the expansion is about $20. Digital One Deck Dungeon is available on Steam for $10 for Windows, Mac or Linux. At this time, three new characters and two monsters can be purchased for a buck each. It’s also available in the Google Play store for $9.99. This is a fun little game which is surprisingly addictive. There is very good play balance. You get a sense of accomplishment from defeating bosses and increasing the power of your characters. It is a very light beer and pretzels game that could be easily taught to another person, is compact in size, and can quickly introduce a newbie to many of the conventions of dungeon adventuring. I was shocked that I logged a total of 38 hours playing this on Steam. There are advantages and disadvantages to the physical and digital game versions. The physical version could be played most anywhere. It also can be a very quick and entertaining way to introduce a child or an adult to both table-top games and dungeon crawl games. The two disadvantages of the physical game is keeping track of a large number of small die and the physical version of the game is roughly twice as expensive as the digital version. 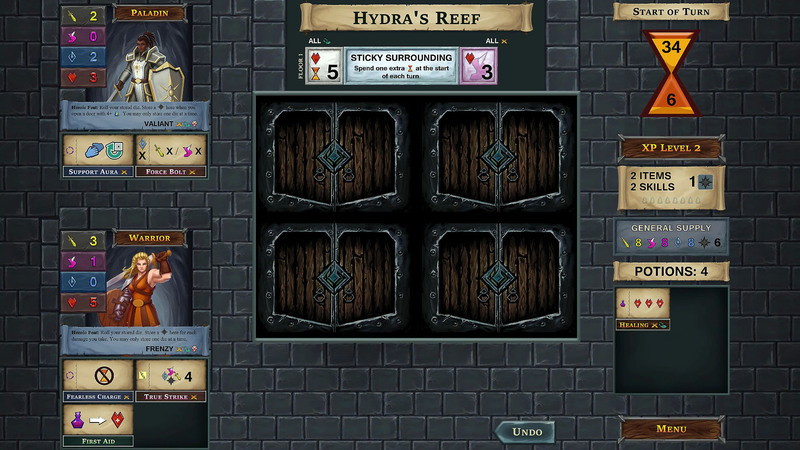 Last, with the physical version the players must do all of the bookkeeping which makes it difficult to restart an attempt against an opponent. The digital game is less than half the price of the physical game. The digital game does the bookkeeping for you and prevents making illegal moves. But the digital game is not adapted to playing with others. Playing with a buddy over beers at a bar is impossible with the digital game. Overall, this is a fun, easy to play, well balanced and short dungeon crawl. 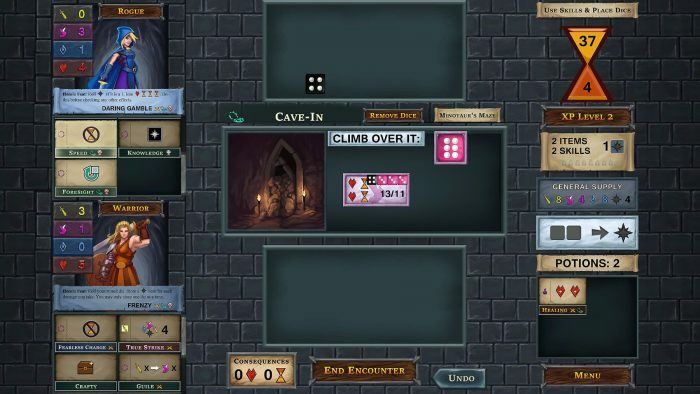 There is not a lot of depth to the game, but it was not designed to be deep. This is not the game I would take to a desert island, but it is a game that could save your sanity if your flight was delayed five hours at an airport. Avery Abernethy is a Professor of Marketing at Auburn University who has way too many games.